Vier’ is one of the smaller Belgian TV channels. They asked us to announce the première of ‘Stalker’, a new thriller series. The advertising had to be low-budget, well-placed and clever. LinkedIn is primarily known as a professional business network. 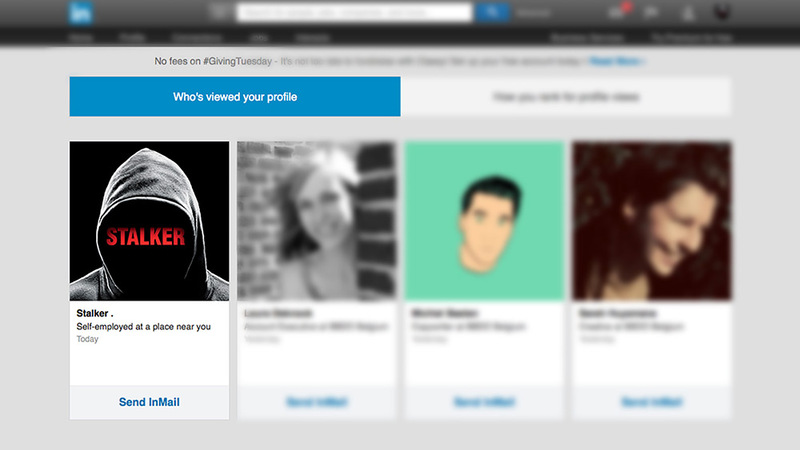 Yet, it also has a quite creepy side: the ‘who’s viewed your profile’ feature. We used this functionality to announce the launch of ‘Stalker’. We created a fictional LinkedIn profile for ‘Stalker’ and stalked as many people as possible, simply by viewing their profile. All those people received a notification that a certain ‘Stalker’ had viewed their profile. 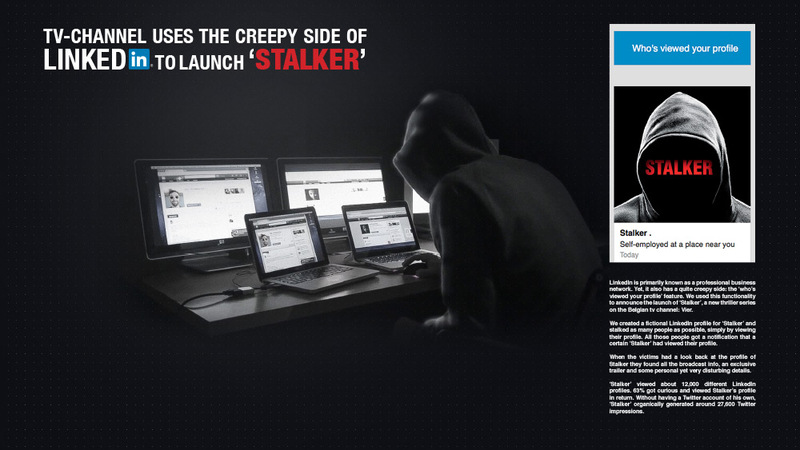 When the victims had a look back at the profile of Stalker they found all the broadcast info, an exclusive trailer and some personal, yet very disturbing details. 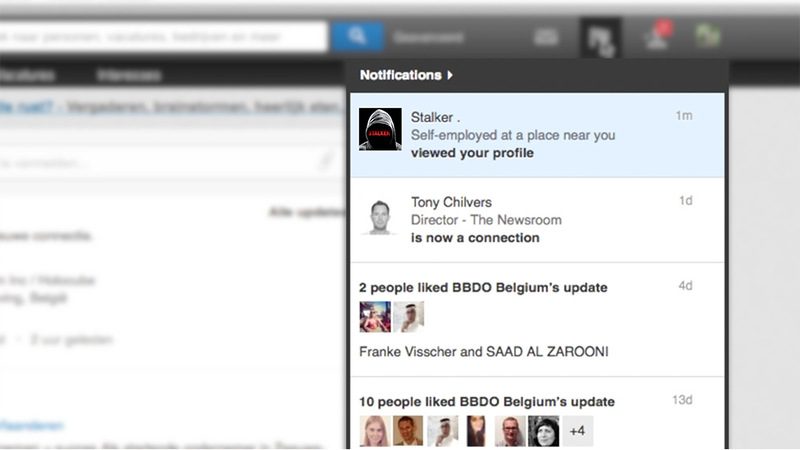 ‘Stalker’ viewed about 12,000 different LinkedIn profiles. 63% got curious and viewed Stalker’s profile in return. Without having a Twitter account of his own, ‘Stalker’ organically generated around 27,600 Twitter impressions.